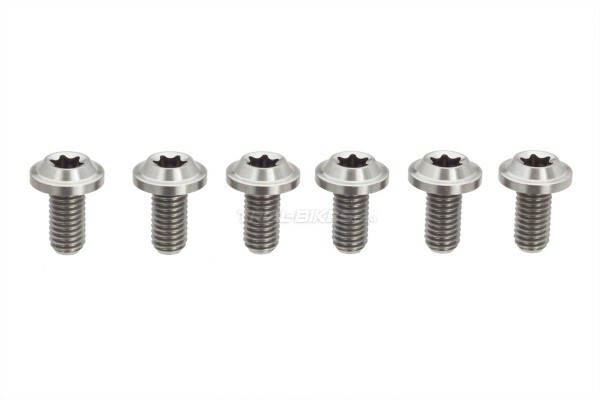 - Set of 6 M5x10mm titanium bolts from Belgian manufacturer Jitsie, specifically designed for disc brake rotors. - Tested and currently used by Jitsie Team riders Dani Comas, Rick Koekoek, Vincent Hermance, etc. - Made from high quality, 5th grade 6AL-4V titanium. 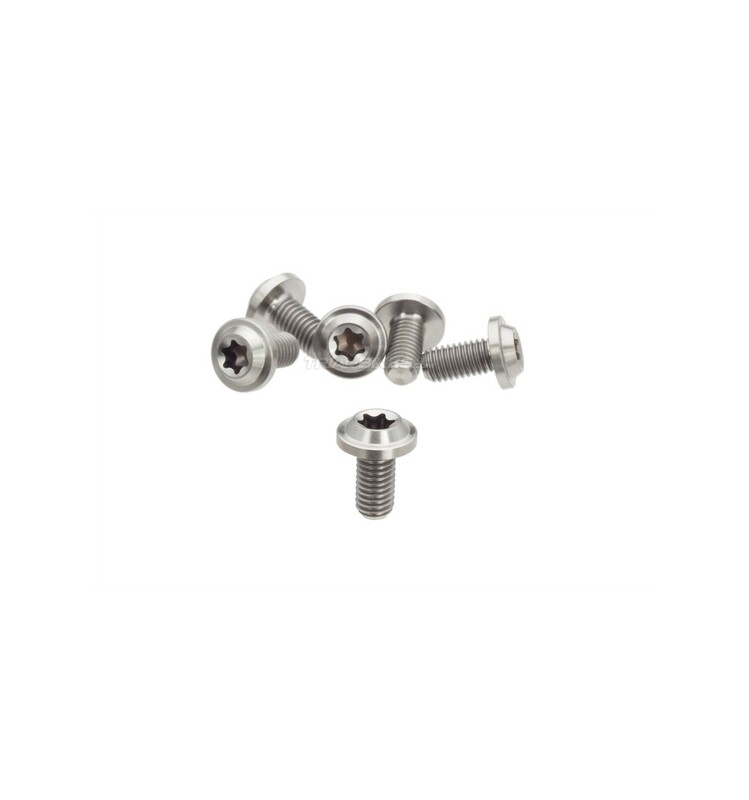 - Since they’re made from titanium, these bolts offer the same strength and durability of steel bolts, but with 40-50% less weight. - Its wider conical head ensures perfect tightening with a 25mm Torx key, and also avoids the need for additional washers. 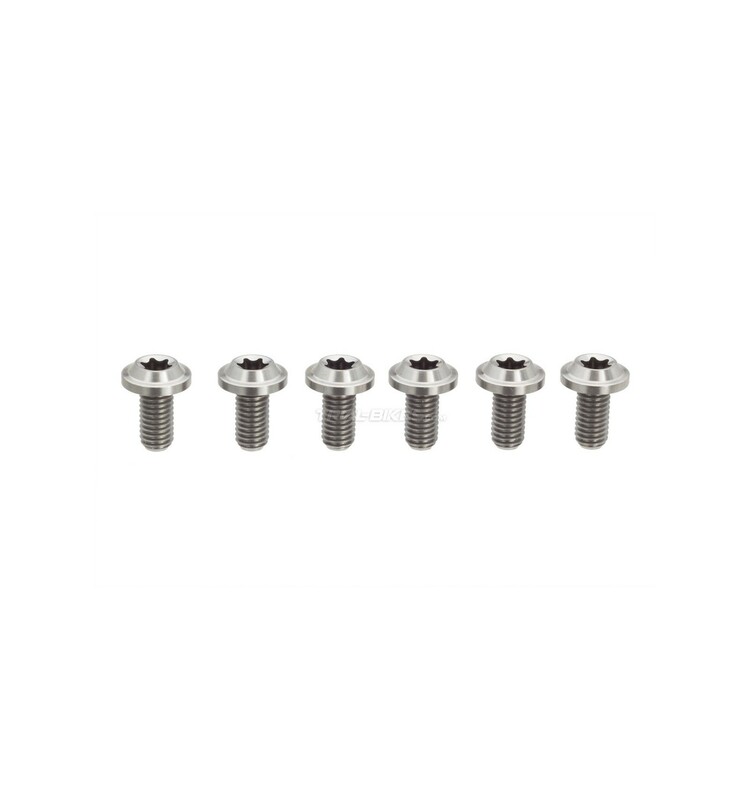 - Supplied as a 6-bolt kit, enough for one brake. Always remember to use a proper Torx key, and do not overtighten when installing. We recommend applying some grease on the threads before installing the bolts.